If Democrats flip the House, the Congressional Progressive Caucus will have the leaders, agenda, and institutional muscle to drive the debate. “Only in the darkness can you see the stars,” the Rev. Martin Luther King Jr. taught us. Now, even in the bleak night of Brett M. Kavanaugh’s confirmation to the Supreme Court, there are stars that offer hope. If Democrats take back the House in next month’s elections, the Congressional Progressive Caucus—already one of the largest and most diverse values-based caucus in the Congress—will make certain it won’t be business as usual. The CPC will have the leaders, even greater numbers, a compelling reform agenda and increasing institutional muscle to drive the debate—while exposing the corrosive corruption that pervades every corner of the Trump administration. The CPC has 78 members; after November, it is likely to number more than 90. The CPC PAC has endorsed 41 candidates this cycle; more than a dozen are shoo-ins, and virtually all of the remainder are running in seats that are in play. Twenty-two are on the Democratic Congressional Campaign Committee’s “Red to Blue” list of targeted races. If Democrats pick up the 23 seats they need, progressives will be leading the way. And in a Democratic-majority Congress, CPC members are in line to chair a stunning 13 committees and 30 subcommittees. New members will bring new energy and new ideas. 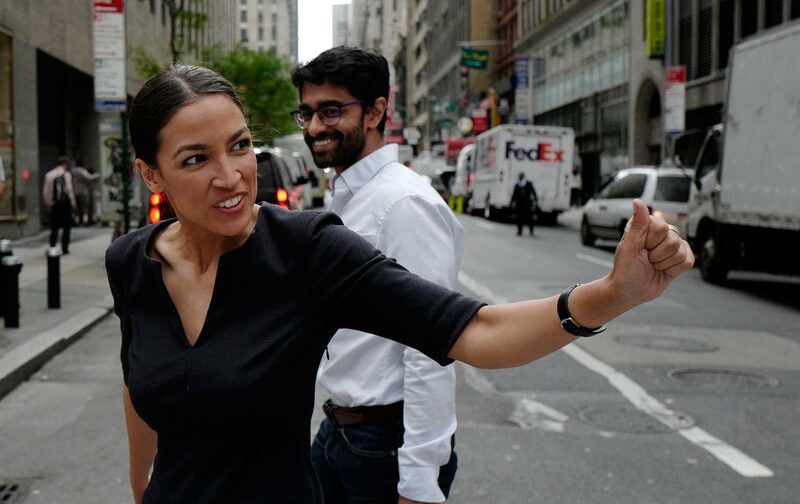 With her stunning primary victory over Rep. Joseph Crowley (D-NY), Alexandria Ocasio-Cortez has already catapulted herself to national attention. She’ll likely be joined by remarkable leaders such as Jahana Hayes of Connecticut, Rashida Tlaib from Detroit and, with any luck, future stars such as Katie Porter of California and Gina Ortiz Jones of Texas.